Are you thinking what your child wants to add to their wishlist? Some kids already have their holiday wish list ready and others don't. When looking for toys, kids want an interactive toy to play with. Toys can get boring for kids when it has no cool features. An interactive toy will motivate a kid to get active. This is how you know the toy is fun and keeps them busy! 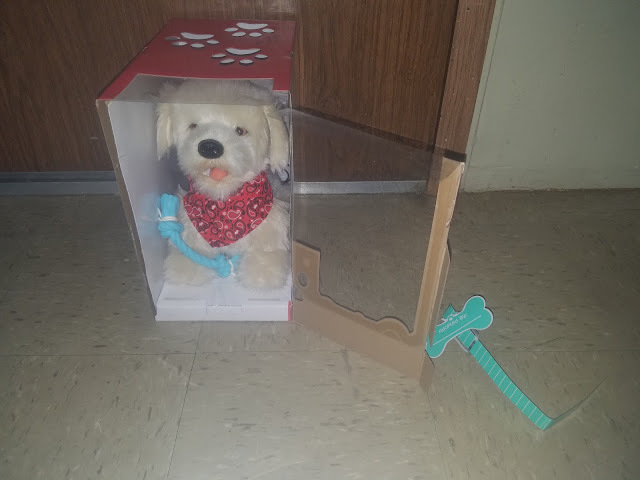 The toy is more than a cute companion. It can be smart, friendly and keep you entertained. What is the interactive toy for kids? What Is The Interactive Toy For Kids? 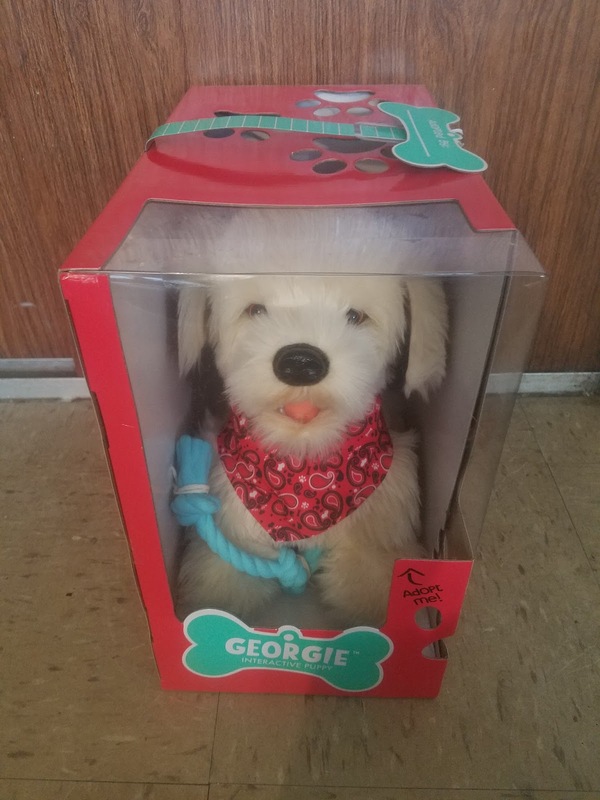 The interactive toy for kids is Georgie Interactive Puppy. Georgie is a Golden Retriever and is like a real puppy. It can respond to 12 different voice commands to interact with you in more than 100 ways. The puppy can play tug-o-war. When you place the rope toy in his mouth to pull and play. Georgie can do high five, stand up, shake, say I love you, bark, burp, pass gas, peeing sounds and more. The set includes 1 Golden Retriever interactive puppy, neck bandana, name tag, rechargeable battery and cord, rope toy and puppy training guide. This toy is suitable for children ages 6 years and up. Your child will love the many features! The puppy is soft and hug-able. My three boys took turns playing and interacting with Georgie. They told the dog to play tug-o-war, hey let's dance, hey stand up, hey high five and pet the puppy. The kids treat Georgie like a real dog. 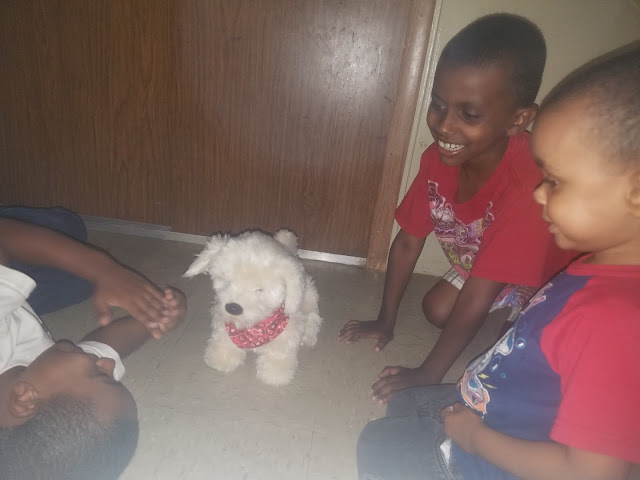 They enjoy playing with him. Do you want to make Georgie an official member of your family? 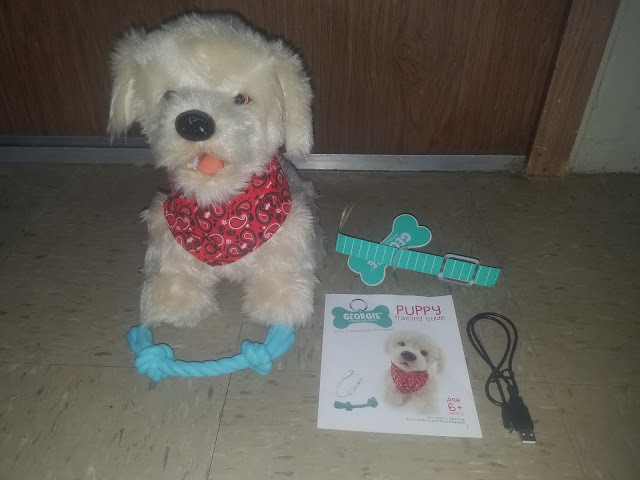 Get downloads for the dog collar, adoption certificate and puppy training guide at http://georgie.mgae.com. The toy retails for $129.99. To find where to purchase Georgie Interactive Puppy visit http://www.mgae.com.